Garmin was a team that went from strength to strength with every Leg of the Clipper 2017-18 Race, and the hard work was well rewarded with a fourth place overall finish in Liverpool. You always knew when Garmin was coming. Nicknamed early on as his Pirates by Skipper Gaetan Thomas, the Garmin crew would regularly break into song, with the particular favourite set to the tune ‘When the Saints Go Marching In’. The stentorian cry of ‘oh when Garmin…’ from round the world crew member Dave West became a much-loved feature of every arrival. IMAGE: Garmin seals third place in Race 2 to Cape Town. 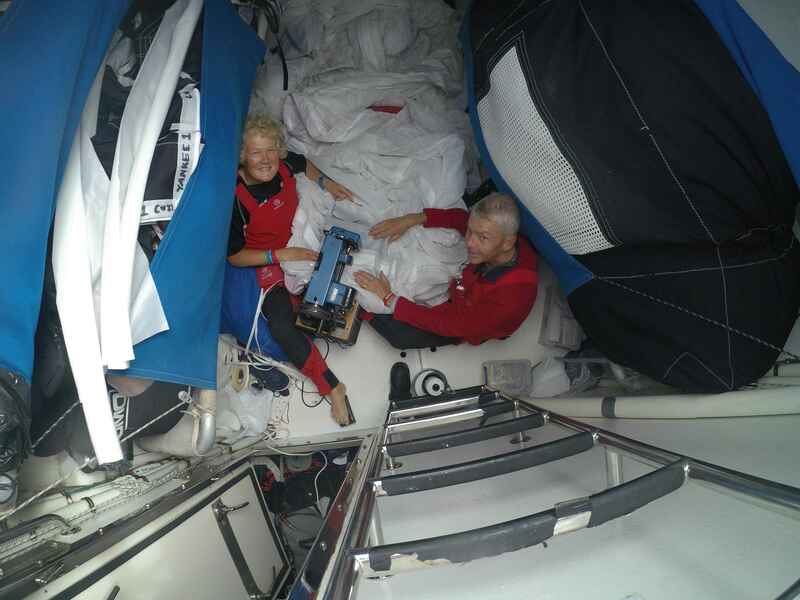 IMAGE: Erik back on board and doing sail repair with Nell. 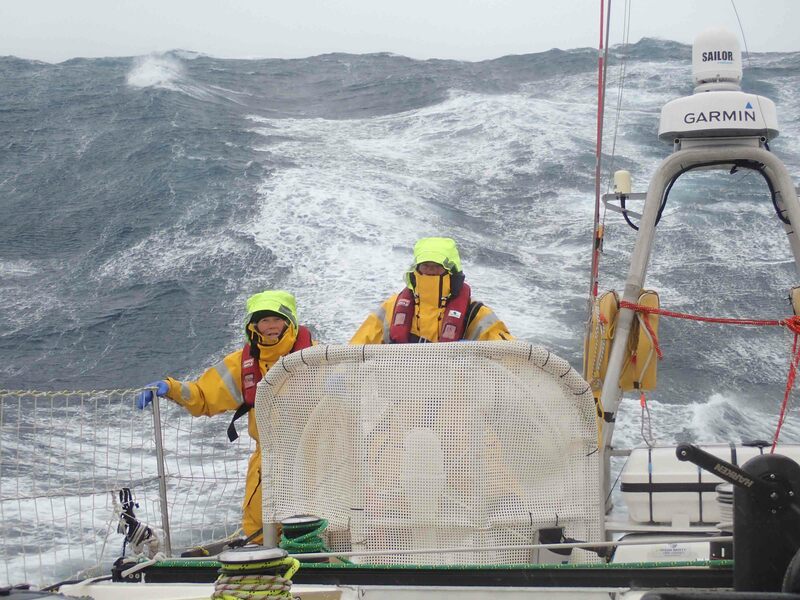 IMAGE: Big waves during the race across the mighty North Pacific. What really made a difference on the leaderboard in the end was the bonus points the team accrued along the way. Garmin was the undisputed champion of the Elliot Brown Ocean Sprint, with the team earning a fleet high of 14 bonus points in the sprint, setting fast times in Race 1, Race 8, Race 9, Race 11, Race 12, and Race 13. 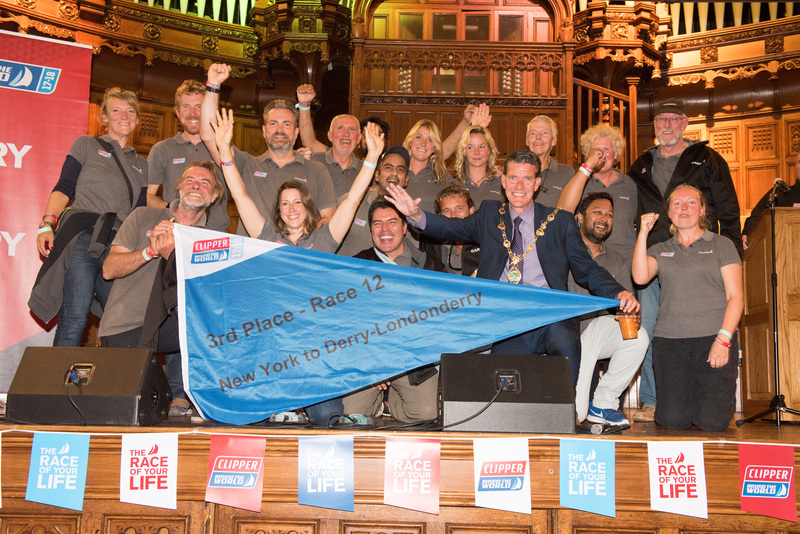 IMAGE: The Garmin team with their third place pennant in Derry-Londonderry. Pennants and accolades weren’t the only highlights for the Garmin team. Round the world crew member Bill Lyons wrote in a crew blog: “A legger was asking me the other day which has been my favourite leg so far and I was honestly stuck for an answer. Yes, we look at the sea and sky a lot, but no two days are the same and you feel joy with every sunrise or play of the light. 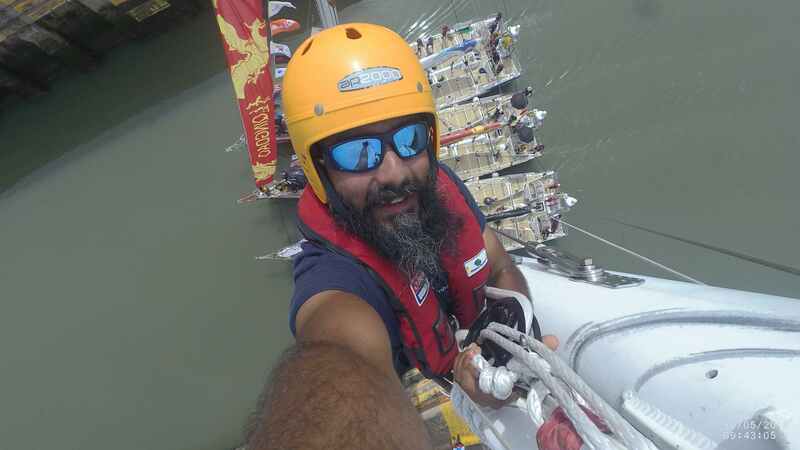 IMAGE: Round the world crew member Mick Pattni during the Panama Canal transit. 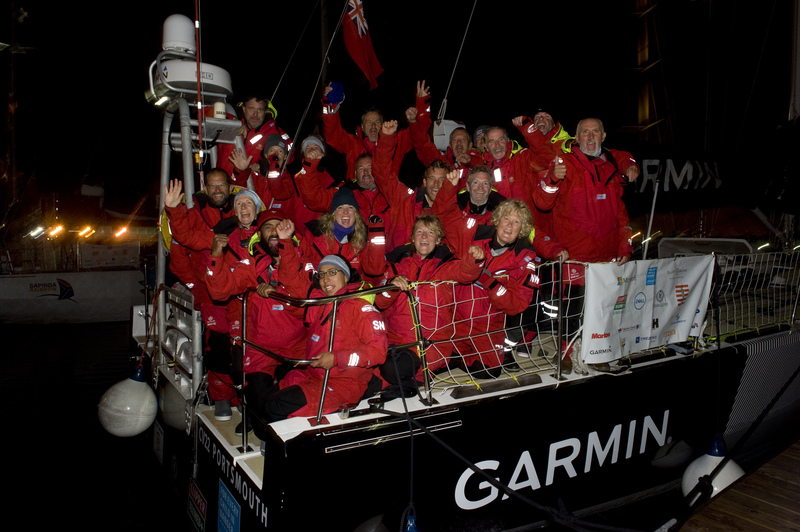 The great team spirit on board the Garmin ‘Black Pearl’ was also a highlight for all on board. Round the world crew member Simon Talfourd, who was only initially signed up for Leg 1, said: “The worlders on Garmin are a special bunch (you might say a motley crew... but I'll go with unique). Unsurprisingly after living together for over eleven months we know each other very well but we also seem to still like one another. 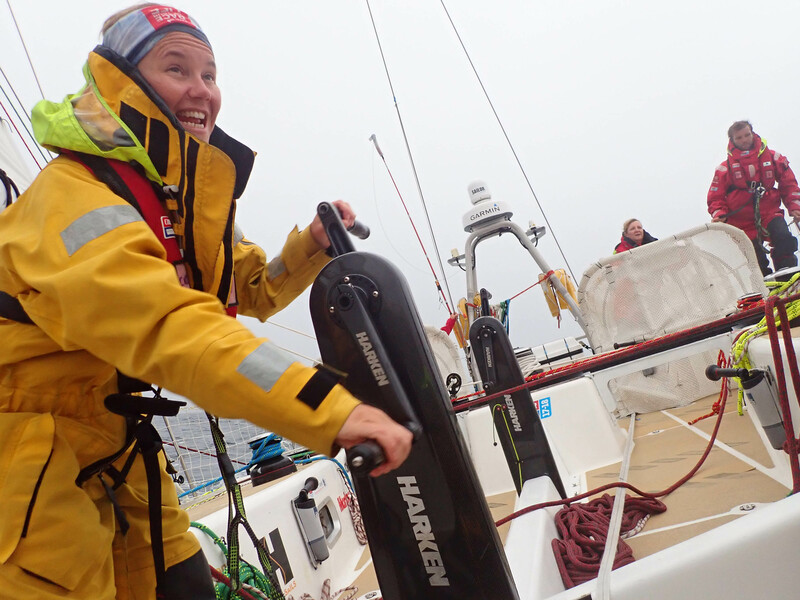 IMAGE: Round the world crew member Simone hard at work during Race 2 to Cape Town.